This lamp is very pretty and arrived as depicted in the picture. Concerns: Shade seems cheap Shade is opaque. You cannot see the the light come through it. This Avery table lamp from Watch Hill features a hip design at the intersection of modern and classic style. 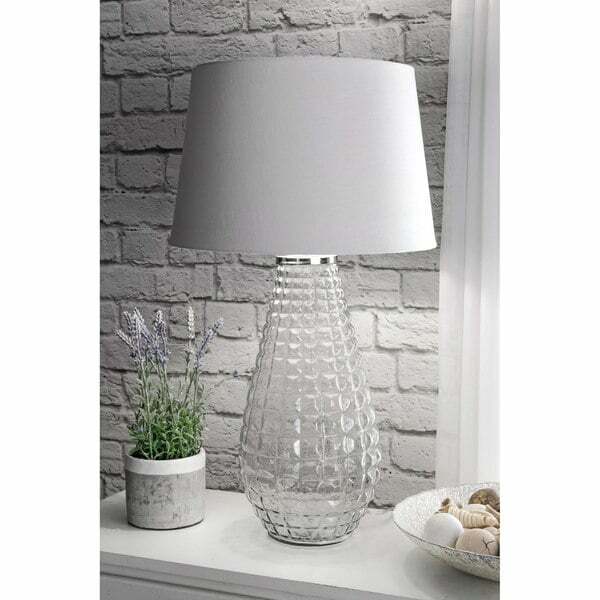 The clear glass features embossed glass studs that give the piece texture and depth, a perfect pairing with the solid white cotton drum shade. "Does the cord come through the bases of the lamp or hang out of the back?"